Equipped with more content, interactive new learning features, and algorithmic review activities, the award-winning Mango Classroom is the language learning resource that supports the world language classroom and helps students acheive their learning goals and communicate with confidence. 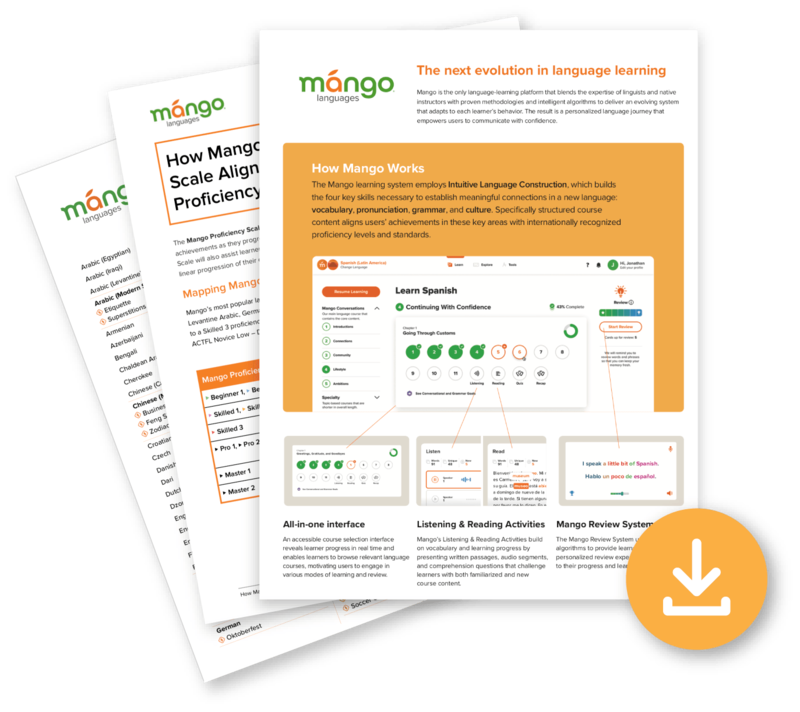 How can Mango support language-learning on your campus? Discover how the new features offered by Mango Classroom can bring your students’ language skills to a new standard. Fill out the form to download these resources and to get in touch with a Mango rep.
Are you looking to boost engagement with world language resources on your campus? 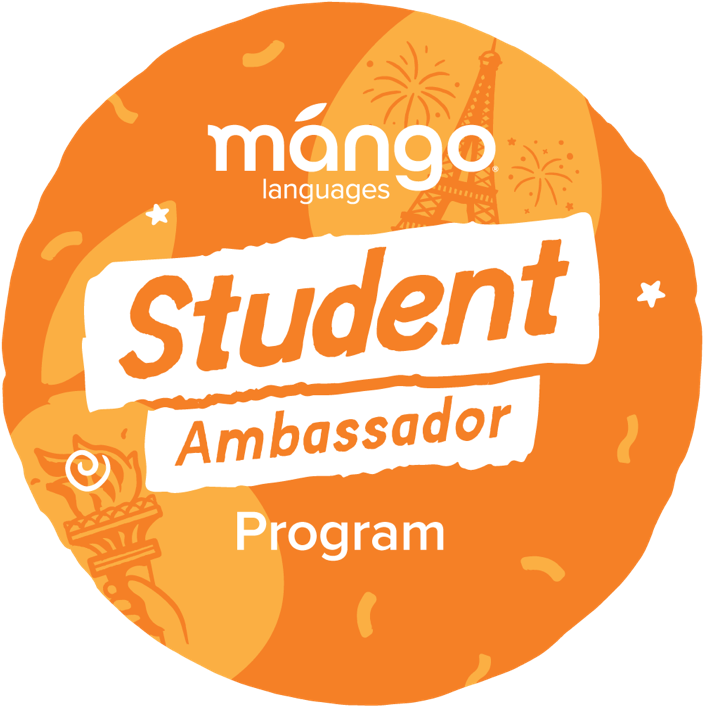 We’re offering our higher-ed customers the exclusive opportunity to take part in the Mango Languages Student Ambassador Program in order to empower your students with the skills they need for academic success and future global opportunities. Visit the Student Ambassador Program page to learn more.